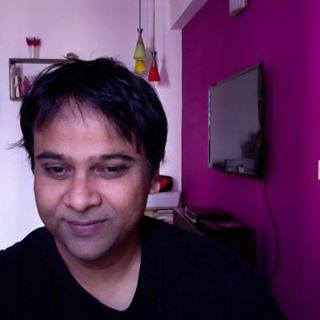 A uncanny storyteller, Amit Shankar, is not for the average reader. I have not read any compilation of short stories decipher shades of death the way this collection does. For sure, he does not write to please you or your stereotypical sense. You would be disappointed if you seek comfort between his lines or look for even a hint of love, romance or any soft feelings. He attacks brutally, head on, his weapons: powerful imagery and plots. The tension the stories create remain long after you have put away the book. Beautifully crafted, the stories bear the stamp of a die-hard romantic who has the courage even to romantisize death. Read “Temple of the King” and you will know what I mean. In case you need any further proof, read “The Jazz Player.” The melancholy strain of these stories will mesmerize you. They flow like poetry. They make you pause for a moment and take stock of your whole existence. Though most of the stories are dark and unsettling, they have the appeal to make you fall in love with the characters, the plot and the narration. Amit’s style is unique. “26 Down Express” is another case in point. The plot is not very unusual; the build up and characterization depicts the writer’s craft. It took me a while to Google Amit Shankar. I found out that he was in advertising: he is a copywriter. No wonder he understand the craft of writing so well! “The Black Widow” is one of the best crafted horror stories I have read. Is there a ghost in it? No! Then what makes it a horror story? Well, the story is about every day events. The horror lies in the last line. When you realize the implication of the last line it, your heart misses a beat. “The Chosen One” is one of the few stories that does not deal with death. Still, it remains an offbeat story. It traces the patterns of destiny in life; we have to deduce the answers. Another favorite of mine is ‘The Lion, the Leopard and the Hyena.’ It was not the plot but the unusual narration that kept me spellbound. On the surface it’s just a conversation, without any words wasted. But what a conversation. Even though the writer has not really described them, I could visualize the characters clearly. “Every Mouse Ain’t a Mickey Mouse” is a sad but well articulated portrayal of the corporate life we all aspire to be a part of. The story made me restless. It compelled me to ponder over the career I had chosen. Could this story be the author’s reflection on his own professional journey. He is one the CEO who indulges in writing. “Let me help you Die” is a laugh riot. The characterization is beautiful. The contrast it creates delivers the point flawlessly. “The Guardian Angel” is a story which will overwhelm you. Short and potent, the offbeat setting, the out of the box characters and the storyline will keep you glued to the page. At least that’s what they did to me. There are a few that fall a little below the author’s high standards. 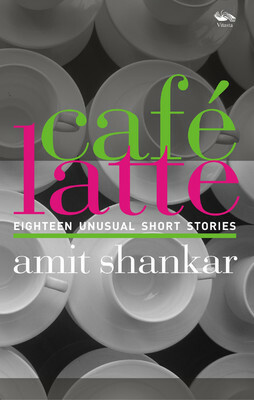 After reading Café Latte, my Google search revealed that Amit has written and three other books—Flight of the Hilsa, Chapter 11 and Love is Vodka-A Shot Ain’t Enough. Interesting titles. I expect them to be as interesting as Café Latte.